Not many people know this, but the Renault Duster is available in petrol guise as well. With the change in trend towards petrol cars, Renault has decided they want to add some zing to their petrol line up of the Duster. So, according to a report by Car and bike show, the company will soon be bringing in an automatic version of the petrol Duster. We believe that Renault is not going to change anything on the car, save for the gearbox. The company just updated the Duster last year and hence we expect no other changes to take place. The only change will be the addition of the new CVT unit. So the vehicle will continue to look macho on the outside and have the same touchscreen system on the inside with navigation. So the petrol engine in question is a 1.6 liter unit which is a 4-cylinder one that produces 102 Bhp and 142 Nm. The engine currently comes mated to a 5-speed manual gearbox and will soon be on offer with a CVT. Currently, the petrol is only offered in 2wd guise and the same is expected to continue with the CVT as well. Renault offered the CVT option on both the Scala and the Fluence sedan previously. Currently, the petrol version comes in the base and the mid spec variant, the RxE and the RxL and prices start at Rs 8.65 lakhs for the same. The CVT on the other hand is expected to offered on the RxL and the top of the line RxZ trim. Currently, there is no top of the line version that you can have in the petrol Duster. With the addition of this variant, the Duster range will be complete and will offer a solution to all type of buyers. They have a diesel manual, diesel auto, disel AWD and now a petrol manual and a petrol auto. Given the shift in trend towards petrol vehicles, this will be a good addition to the model line up. 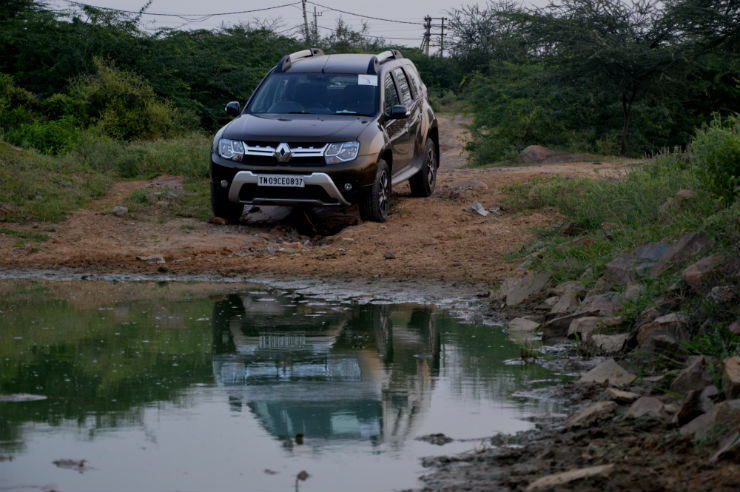 According to the report, the Duster CVT will be launched around May this year.